Retire in Kelowna? Caregiver/Companion Wanted! You are here: Home | Jobs for German-speakers | Retire in Kelowna? Caregiver/Companion Wanted! 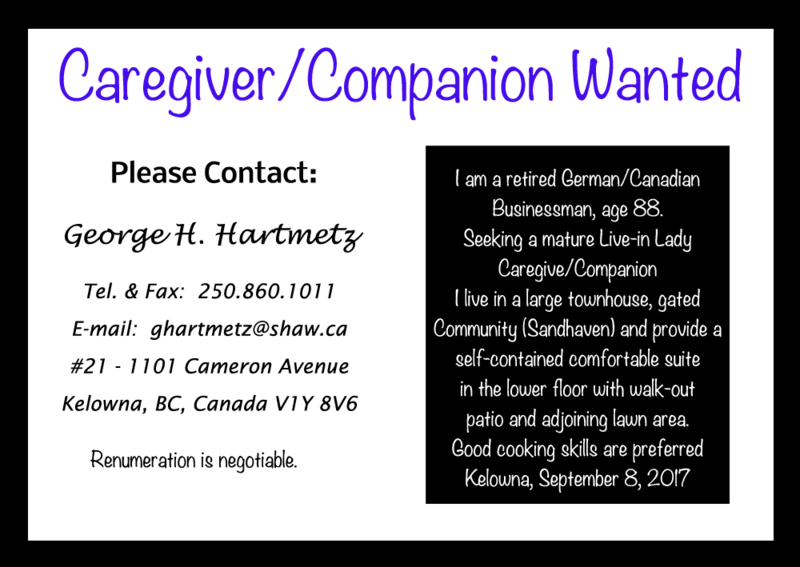 George is a retired German/Canadian Business, age 88 who is seeking a mature live-in lady caregiver/companion. He lives in a large townhouse gated community (Sandhaven) and will provide a self-contained comfortable suite in the lower floor with a walk-out patio and adjoining lawn area. Good cooking skills are preferred.